I read the other day that statistically one in every six pregnancies ends in miscarriage, which is about 16%. Other statistics say more like 20%. Of course, these are just numbers based on women who know. Many women have miscarriages before they ever even know they are pregnant. But for the purpose of this post, we will just focus on those who know they have lost a baby. Miscarriage is the loss of the baby prior to 20 weeks. Stillbirth is after the 20 week mark. Statistics on stillbirth range from about one in every 150 to one in every 200 pregnancies. In April of 2006, we had a stillbirth. Our son, Braxston, died in utero. I was exactly 20 weeks along. Braxston was a total surprise pregnancy. Brayden, my only child at the time, was only 6 months old when I got pregnant with Braxston. If you have read my blog, you know my idea is you can either laugh or cry at situations, and I prefer to laugh. I knew that children 14 months apart would be quite the challenge, but I wanted my reaction to our new baby to be happiness rather than sorrow. We were excited. And I was exhausted. Brayden was a busy, busy little baby. I was a very tired mom. My husband was working and finishing up his degree and was gone from before we woke up in the morning until just before Brayden’s bedtime. I did nothing beyond normal things around the house and taking care of Brayden. Even so, we were excited. I don’t think many people ever think they will lose a baby. I have a friend who is always ready for it because her mom lost a lot of babies, so a family history might have you thinking about it. But I never even imagined it would happen to me. “Huh?” I replied. Then I noticed he was in his scrubs. They had pulled him out of surgery to come talk to me. I started wondering what was wrong with my baby, but didn’t think it would be death. My doctor broke the news, and my husband, doctor, and I all cried (he is the best doctor–and now in North Carolina if you are there and looking for an OBGYN). We went home, numb. I was going to deliver Braxston that night, but I wanted to wait until Brayden had gone to bed first. So we went home and put him to bed, then left for the hospital. There, I delievered our baby boy. We were able to hold him and take photos. His little body looked absolutely perfect to us. It has almost been four years since we lost him. The pain is still there. The loss is still there. I think about him throughout every single day. I don’t think an hour passes by without me thinking about him. And of course not. He is my child. The sharp pain does lessen over time. I have had the most amazing, spiritual experiences of my life in connection with this loss. I miss my boy, but I continue to learn what the Lord wanted me to learn from this experience, and I think of my son with a fondness. Everything is not perfect. I have troubles stemming from this loss. Nearly a year later, I delivered Kaitlyn. They unknowingly first put me in the room I had delivered Braxston in. I told them I could not be in there. They said it was the only room available, but just then another room opened up and I was moved. But I had a panic attack. I was so scared of losing another baby. Then they put Kaitlyn in the NICU, which of course was terrifying for me. She ended up having no problems at all. With McKenna, I had a small panic attack during her delivery, as well. I have realized that there are a lot of women out there who have lost babies, and we don’t talk about it enough. Only a woman who has experienced it can truly know what you are going through (of course aside from Jesus Christ). I understand why we don’t talk about it; other people just don’t get it. Even my mom at the time commented on how it was a strange situation because she didn’t feel the loss like I did. No one did. 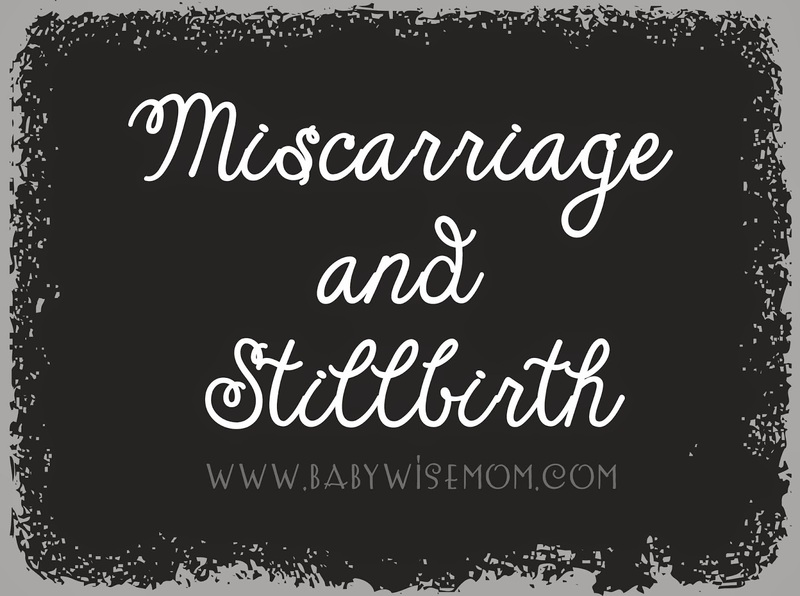 As I share this experience with people, I am always amazed that at least half of the women I tell have experienced a miscarriage or even a stillbirth. It is a wonderful thing to discover! We can talk about our babies together! I share this with you to let you know you are not alone. I want you to know that it is a hard and painful experience. It is my opinion that the loss of a child is the most painful emotion you can ever have. I also want you to know that it will get better. Give yourself time to grieve. I think a miscarriage or stillbirth is hard because most of the time, other people really have no idea what you are going through. It almost feels like you need to grieve on your own because you are the only one who feels a real loss. Take the time you need to grieve your loss. People will say lots of insensitive comments. “At least you can have another child” is one of the worst. Try to take the comment in the spirit it was intended. People have no idea what to say and they want to say something. They are trying to be helpful. To anyone who knows someone experiencing this, the best thing you can say is essentially, “I am so sorry.” The mother doesn’t need to hear she can get pregnant again or anything like that. She just needs to feel support and feel love. That is the best thing you can do. Children aren’t like cars. You can’t just replace a child. Once the child is gone, he is gone. I hope you will pray and turn to the Lord at this time. He can and will help you through this. Be honest with yourself and others about how you are feeling. You will come to know some comfort and peace. We have come a long way. I know a woman who lost a baby in the 70s. They put her to sleep to deliver. When she woke up she asked about her baby. The doctor responded, “what baby?” Oh that poor woman. I think we can continue to progress in this area by talking about it as we need to. The pain is real. There is no reason to cover it up and keep it a secret. Perhaps we do that because it is so raw and so painful. But we can gain strength from each other. We can bear each other’s burdens. I am so sorry you have had to experience something like this. I know it has made me a better person. I have gained and developed many qualities I wouldn’t have otherwise. I know Braxston is my son, and I love him dearly. Having him in my life is something that has taught me much. Through our greatest trials, we are refined the most. Hang in there as best you can. You can come out stronger, too. This was a beautifully written post. I am so very sorry for your loss. I've never lossed a baby, but I have had 7 friends lose babies due to still birth, post birth complications or late term miscarriage. I really appreciate you writing about the insensitive things people say. Some of my friends have told me the things people have told them and I am SO appalled. I liken it to the comments I got when I was struggling with not getting pregnant and the possibility of having to use fertility meds… people would say stuff that I knew that in their heart they were trying to be helpful, but it was like a dagger stabbing me everytime their words struck. Thank you for sharing your story! My heart breaks that you had to go through the experience of losing a child. I can really relate to you. April 23rd will be the 9th anniversary of the day I lost my twins, Noah Xavier and Christopher Leonard, who died at 14 weeks in utero. Although I have since given birth to four healthy, living children whom I love dearly, I think of my twins often. Your post was so well-written and with such heart. I pray that all who read it will be touched as well. Thank you for sharing your story, Valerie. I am so sorry for your loss. Your well-written words are very timely – just this morning, I was waffling on whether or not I should send a card to a friend to recognize the anniversary of the birth and death of her son. Now I definitely will. trishconway- That's a beautiful idea. For many of us who have lost babies through miscarriage or stillbirth, it can feel like people *forget* the loss with time, though we ourselves never do forget. what a beautiful post. i was crying all the way through. i haven't gone through this before, but just had a friend lose her daughter this past week- she was between 36-40 weeks. i can't imagine the devastation. it just brings it home that i am so blessed and lucky to have my sweet, perfect boy- he is a gift from God! Thank you for this post. I have never personally experienced loss like that, but I was crying as I read your beautiful post and am crying now as I think of the many women that have. As I look at my beautiful son and new baby daughter, I can only imagine the feelings of loss a mother (and father) must feel. Thank you for the advice in what is good to say and what isn't. This is a great post. Of course, as a casual reader, I had no idea of your loss. This blog is geared toward raising our living children and is incredibly positive and forward thinking. I'm sure many of your readers, myself included, have multiple living children but have also had losses. I think reading about others who are living with the same grief yet creating good memories and having good days – even in the face of that grief – makes us feel less isolated. Thank you for sharing your story. Thank you for sharing your story. I am so sorry for your loss but am encouraged to hear how the Lord used it in your life. Thank you so much for sharing. My first pregnancy (after conquering other medical hurdles) ended in miscarriage at 6 weeks. Our beautiful son was born two days before the one year anniversary of our loss. It is so true what you say about giving yourself the time to grieve. I allowed myself to do it because I knew I would go crazy if I bottled it up the way I usually do.It is a difficult experience for anyone to go through and difficult to share as well. Thank you for being so open about it with your audience. This brought me to tears! I am so sorry for you loss! I love your blog. I have never left a comment but this post really moved me. I want you to know how much it means to me that you are always teaching your readers. You took a difficult subject, shared your heart, and even found a way to teach those of us who have never been through it the best ways to love our friends who experience this kind of loss. Your blog is an inspiration to me daily. I am IN LOVE with babywise and Prep for Parenting. My baby is going to be 1 on April 3 so I have especially loved your summaries throughout the past year. You are my hero. The pain you and so many others have experienced is truly unfathomable. Thank you for opening your heart and sharing with all of us; someone will surely be blessed by this post. My prayers for comfort, healing, and peace for all those parents who have gone through this. God bless. Thanks for the beautiful and thought provoking words. I have experienced both in the very recent past. People mean well with their coments but aren't always helpful. It does help to talk to and hear from women who have experienced loss of a baby themselves, although a hug, I'm sorry and a listening ear is usually helpful too. Thanks for sharing! Beautiful words. They could have come straight out of my mouth. April 23, 2001 I gave birth to my beautiful twins Aubrey and McKenzie at 22w. I miss them everyday and the pain although bearable is still there. I have gone on to have 2 living sets of twins, but our family will always be missing 2 people in our lives. Very beautiful. While I never had a miscarriage or stillbirth, all my sister-in-laws, my mother, mother-in-law, and friends have all gone through this. I understand about insensitive comments also. We were married for 7 years before our first daughter was born, and many people would assume that we didn't want children. That was hard, because we did want children, but it was not God's time yet. Then Kaitlyn, my first daughter, was born at 37 weeks, one week after I had a stroke. Because of the stroke, the doctor advised that we not have more children. About 3 years later, I got pregnant again. We were so happy, but a bit nervous. I had to inject myself daily with clexane. Daily I tried not to worry about the fact that I could go through all the pain and still possibly lose my child. I didn't know if I could go through another pregnancy with bad morning sickness and daily injections. We thank the Lord that we did not lose Kristell, although we almost did. At 28 weeks, I started bleeding. The diagnosis was placenta previa. Kristell was born at 31 weeks. She gave one gasp and then had no heartbeat and was not breathing. Our wonderful pediatrician, with God's help, resuscitated her. Today she is almost 8 months old and has no apparent problems to this point. Because of fairly serious risks,we will not have any more children although we would love to. So whenever people say things like "you can always have more children" I think "how insensitive". While it's true that many people can have more children, that doesn't negate their pain from losing children, and they don't know everyone's situation. Not everyone can have children, whether it's through their choice or because of medical situations. I'm too choked up to say much right now. I'm 12 weeks pregnant and extremely emotional right now. I just wanted to thank you for sharing. Valerie,I am so glad you shared about Braxston with your readers. The more I talk with women, the more I realize how there is truly a sisterhood of us out there who have lost a baby and know the pain of that loss. It's so nice to know we are held up by each other, and so tenderly by God. My son will be one on April 8, and he was born exactly one year to the day after we found out we were pregnant with "LePetite", who we later lost on Mother's Day 2008 at 9 weeks. What redemption, though not replacement, was having a baby live on the day that our first pregnancy began. I can celebrate both babies on that day. Even our doctor (also in NC) marveled at that and shared the story with others. Thank you again for posting it and for allowing those of us who have babies ahead of us in heaven to speak of them again, as speaking of them makes them live outside our hearts for a while. I would appreciate more posts on these tough topics. Like many who have posted comments before me, I haven't experienced this myself but know many who have. It would also be helpful for me if you wrote more on your thoughts on TTC. That is a tough issue that probably many more deal with and struggle through. Thanks for your honesty! This is a beautiful post. Thank you for sharing with us about Braxston. I admire the way you have continued to have kids and face life with joy. Very poignant post. I did not have a stillbirth but experienced a miscarriage and an early miscarriage after IVF attempt #1. We are private people so I didn't even share we were pregnant publicly (until 1st trimester is over) so it was very difficult in a way as no one knew. But I had made this decision years ago when a couple were TTC for years and it was very public and they had issues for many, many years of infertility and a miscarriage after years of trying. And the comments people would make, although well-meaning, were really insensitive. So I said I wouldn't do that and unfortunately we ended up in the same position of TTC and having a miscarriage,etc. But I think in a way it was easier than to hear everyone's comments. The few close people we told had made some insensitive comments, although not intentionally. Like you say, people don't know what to say and they end up saying things that really end up causing additional pain (even unintended). So this is a great post. And I agree with the PP about infertility and TTC. That falls in the same category and is a tough subject and often handled insensitively. Fortunately a lot of people do not have to go through it and really don't understand what it involves. The blessing of our journey has been that we have compassion and understanding for these situations. I cried through your entire post! Two years ago, I lost 2 pregnancies only 4 months apart. Your story really hit home to me and brought back a lot of memories… I lost a pregnancy at 14 weeks and had no clue until I was at the doctor's office & he was unable to find a heartbeat and then confirmed it with an ultrasound. A total shock & terribly heartbreaking! A few months later, I lost another pregnacy at only 6 weeks… I realized I was miscarrying the same day that I found out I was pregnant. We now have 2 healthy boys, ages 4 & 18 months, but you're so right in saying that another child does not replace one that was lost. But we understand that the LORD has a reason.This is definitely a tender subject and your post put it so well. Everything you said is so true! Thank you for sharing! Sorry for your loss. God Bless! Thank you so much for sharing. I was holding back the tears reading your entire post. We experienced a loss and infertility, and it has forever changed who we are and the parents we are today. This was a great post. Thanks for sharing your story. I had 2 miscarriages a year apart, one at 6weeks, and one at around 8 weeks. It's true that no one but you really understands the loss. That early in the pregnancies I hadn't yet had time to really get completely attached, but the loss and sadness was still so hard. I can't imagine losing one any further along. I'm so sorry for your loss.I'm happy and thankful to report that we have a healthy 2.5 year old little girl, and I'm now 16 wks along with the next little blessig. What a wonderful blog and a beautiful post. I have 7 month old twins. However, I also had 2 miscarriages only 4 months apart prior to conceiving them. Needless to say, when I had spotting with my twins, I was terrified; and when I had preterm labor at 25 weeks, I was even more terrified. Thankfully, they delivered at 36 weeks after 11 weeks of bedrest. I am an obstetrician/gynecologist and I cannot tell you how much this has affected my interaction with my patients. I cry each time I have to tell someone they have a miscarriage – it always takes me back to my losses. I used to be sympathetic – now I feel their sadness. And many tell me they feel better knowing I had a similar experience. The silver lining is that I can connect even more with my patients – which brings me much job satisfaction.Thank you for your dedication to this blog – I really enjoy it. Thank you for sharing such a beautiful post.So many of people's insensitive comments can hurt so much, even if they have the best of intentions, it can be hard to get past their rude words. I am so sorry for your loss, Val. This post was honest and sensitive; I really appreciated it. I love reading your blog – My son Dylan is 20 months and we're thinking about Baby #2 – Could you also email me the name of the doctor you recommend? [email protected] Thanks so much. Thanks for your post. As someone who has gone through two miscarriages, it is comforting to hear other people's stories. It is amazing how many people have had them but don't talk about them. I'm glad it is getting more out there and more people are sharing their experiences. I have since had a baby girl but still think of the 3 little ones I lost (the first miscarriage was twins) all of the time. But I read the best book that really helped me get through it. It is called "Gone Too Soon" by Sherri Devashrayee Wittwer. To quote what I wrote about it on my blog, "It really helped me to understand why I was so devastatingly sad, that the life of my babies was short but part of a bigger plan, and how I could begin to move forward from the loss. The life of unborn babies is truly significant, and when a baby is lost, whatever age they may be, it is indeed the loss of someone very special." If you are interested in reading my experience, here is the link to it. http://tenderandcrazeyeme.blogspot.com/2008/09/just-those-few-weeks.htmlAlthough I would never have chosen to go through the experience, it has really helped me have more empathy for others and I have gained friendships I otherwise never would have. Thanks again for your post and for sharing your experience. Thank you for your encouraging words and reminder that we are not alone in our struggles. We lost our second baby at 12 weeks a month ago today, and it's been hard. Every day I pray for God's peace to continue to fill my heart. I know that I will get to see our little baby someday in Heaven. Praise God! Thank you for the kind words everyone!And you are all welcome.And I am very sorry to those who have had to experience anything simlar.I also appreciate the ectopic pregnancy and infertility additions. Thanks everyone! Thank you Beth for sharing that. I think that the empathy gained through this experience is valuable–and you can only gain it after experiencing it yourself. It does feel good to be able to help others through the difficulty. It provides healing. Nancy, Thanksnks for sharing that. I agree that an experience like this really does teach empathy. Nancy, I loved your post. I have that poem in a scrapbook I made for Braxston. Love it. i too have gone through the loss of our sweet baby enoch – at 10 weeks – our first and only pregnancy. it has been a year and a month since we lost him and have not been able to get pregnant again.thank you for your blog – it helps a small amount to know that we are not alone in this. knowing and loving Jesus is the ONLY thing that has kept me going. and most of the time. i am just that. going. nearly all my friends have babies or have gotten pregnant and delivered babies since our miscarriage while i sit with empty arms and a hurting heart that breaks a little more every month. i write about our loss on my blog @ bardenphotography.com under the baby barden tag – if you would like to check it out.thanks for opening your heart! Thank you for sharing your experience and heart. I just wanted to share a book a friend of mine wrote. She has experience pregnancy loss, and wrote this book to help other moms who've walked this road and those around them. It's called "And Then You Were Gone: Restoring a Broken Heart After Pregnancy Loss" by Becky Avella. Here is a link to the facebook page for it:http://www.facebook.com/home.php?sk=lf#!/pages/And-Then-You-Were-Gone-Restoring-a-Broken-Heart-After-Pregnancy-Loss/114279515287881I hope it is helpful to someone. I had a miscarriage 3 months ago in a situation similar to yours. I was only 10 weeks along, but my daughter was also only 6 months old when we conceived and it was also a surprise. It being a surprise didn't make the miscarriage any less painful. I agree that I always think about the baby. It's like I had enough room in my heart for the three of us, then I found out I was pregnant and my heart grew for that baby, too. When the baby died, the room in my heart remained, but it feels empty. Each day gets better, but I find there are days that I think about it a lot (today). I'm leaving this comment because I have a question, did you find that your husband didn't feel it the same way you did? Also, did you find that you were super anxious during your next pregnancies? I feel like I will never be able to go to the bathroom without checking for blood. I'm glad you liked my post. I love that poem, too. :]Amy-I had 2 miscarriages and now have a beautiful baby girl. My hubby didn't have as hard of a time after the first miscarriage as I did. But the second one he was more sad than I was because he was worried we would never carry full term and have a baby. Guys definitely deal with things differently. Especially emotional things.During my last pregnancy (in which we had our little gal)I was super nervous about being pregnant again. I started spotting at 8 weeks and my heart sunk. But all turned out to be fine. I was nervous until I was far enough along that she could survive outside of the womb. Once I got to that point, I finally took a chill breath and enjoyed the pregnancy without the fear of losing her. So sorry for your loss! I realize this is an old post so I don't know if you will still see comments, but like so many others I wanted to say thank you for sharing. Three months ago I went in for an ultrasound at 19 & 1/2 weeks and learned that my baby girl had died. It was the hardest day of my life. I have a 22 month old little boy, and my pregnancy with him was smooth sailing the whole way so I never expected the news I got that day. My doctor says we can begin trying again in the next couple of months for which I am both grateful and terrified. Thank you for sharing your fear in the above comment. It helps so much to hear the experiences and encouragement of someone who's been there and to know that it is okay to still feel the loss every day while also appreciating the living blessings in my life. Laura, you are most welcome and I am so sorry for your loss. When I read your giveaway comment tonight about losing a baby previously, I was surprised I didn't read your post about it yet since I've been a follower for well over a year. I cried throughout reading it and was so grateful God led me to this so I can be there for my friends and family in a more compassionate way.. I also hope Psalm 23 will be comforting to you as you continue to heal and go through other trials in life. Brittany,Thank you! I am glad to have helped.